In his role as Vice President Foreign Exchange and Multi-Currency Processing, Dave is responsible for Ingenico ePayments’ foreign exchange business unit, supporting e-Commerce partners with all aspects of multicurrency processing, foreign exchange pricing, localization and growth strategies. His aim is to simplify the processes and risks associated with currency conversion and provide merchants with pan-industry best practice advice on localization and currency remittances to increase their global business. Dave joined Ingenico ePayments (formerly Global Collect) as Head of FX EMEA in 2013. 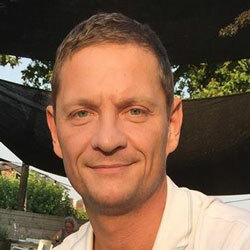 Prior to joining Global Collect, Dave was Head of Sales for GWK Travelex, responsible for all B2B services including FX and payment solutions. In this role, he also managed an agent branch network of 115 locations that provided cross-border money transfers and cash to bank payment solutions. After voluntary military service developed a successful career in various international sales and new business development roles.